TCBJ | TCBJ prez Maria Reeve will be NABJ program chair — again! Congrats go out to our TCBJ president Maria Reeve, who was selected as a program chair for the NABJ convention for the second year in a row! We can’t wait to see what programming is in store at the conference. Read the NABJ news release below. 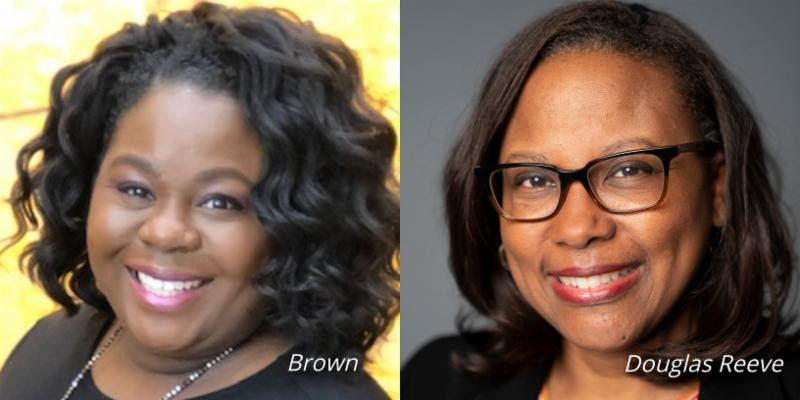 WASHINGTON, D.C. (April 1, 2019) – National Association of Black Journalists (NABJ) President Sarah Glover today announced the addition of Bernadette Brown and Maria Douglas Reeve to the #NABJ19 Convention and Career Fair planning and leadership team. Both Brown and Reeve will serve as program chairs. Brown is an expert in news operations, programming and development and serves as manager for CNN Newsource Newsgathering. She is an active member of NABJ, holding several positions including serving as a regional director and most recently executive producer during the 2018 convention. Brown received her Bachelor of Fine Arts in Radio/Television from Sam Houston State University and is a graduate of the Frank N. Magid Management Institute and The Poynter Institute Leadership Academy. She has also served as a proud member of the National Association of Multi-Ethnicity in Communications and is a graduate of the organization’s leadership academy. Douglas Reeve is the assistant managing editor for news at the Star Tribune in Minneapolis and is currently president of the Twin Cities Black Journalists. She played an integral role in the local chapter’s planning of the 2015 NABJ Convention and Career Fair in Minneapolis. She has been a member of NABJ for more than 20 years. She earned her master’s degree in public affairs journalism at the University of Maryland and a bachelor’s degree in English from Davidson College. Reeve is also a former national board member of the Society of Professional Journalists (SPJ). At SPJ, she co-chaired the program planning committee for that organization’s 1996 National Convention. She is a proud member of Delta Sigma Theta Sorority, Inc.
To register or for more information about #NABJ19, visit www.nabjconvention.com.